Waterford 5k in the News! Check out this piece on the Waterford 5k Race done by Comcast! It will air on CNBC and Comcast On-Demand. 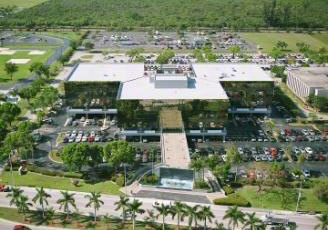 We have great office space opportunities at Phillips Point in West Palm Beach! Proud to be mentioned as Class A offce space by Kelly Smallridge, president and CEO of the Business Development Board of Palm Beach County.” – Brain Gale. St. Petersburg is the perfect location for the Building Owners and Managers Association (BOMA) Southern Region to reflect on the theme of the 2013 annual conference, the Art of Commercial Real Estate. With the release of the educational lineup scheduled for the conference, held April 10-13 at The Renaissance Vinoy, conference organizers again present the commercial real estate industry’s premiere professional event for delegates in the South. “We have fashioned the conference to be a balance of educational, networking, and recognition opportunities to drive excitement around the careers, buildings, and efforts of our delegates,” said Kent Walling of Taylor and Mathis, conference co-chair and BOMA Southern Region President. With a focus on The Art of Commercial Real Estate, led by highly regarded industry practitioners and subject-matter experts, the sessions will help delegates acquire key insights and practical know-how to bring tangible success to their buildings while also enhancing their own personal strengths. This collaborative meeting of the industry’s best minds includes over 25 sessions. Topics include a welcome from Mayor Bill Foster; a distinguished panel of commercial real estate heavy hitters such as Chuck Davis of MetLife, Mary Jo Eaton of CBRE, and Ed Fritsch of Highwoods, which will be moderated by Carlton Fields Shareholder Donald Kirk; luncheon keynotes from Joe Markling of CBRE and BOMA International, and Henry Chamberlain of BOMA International; and a live preparedness event facilitated by Holley Wade of the Hillsborough County Emergency Operations Center. One afternoon session alone will host 13 customized power sessions for 2013, including topics on insurance, legal pitfalls, sustainability, advocacy, public relations, preparedness, technology, codes, customer service, BOMI education, executive director organization, driving membership, and doing business with receiverships. Conference delegates will network at the Dali Museum and Duncan McClellan’s glass blowing hot shop, both in downtown St. Petersburg, as well as host a golf tournament at Isla Del Sol Yacht and Country Club. The capstone of the conference will be The Outstanding Building of the Year (TOBY) Awards, a gala held at the Vinoy honoring the best performing buildings and personnel in the industry. 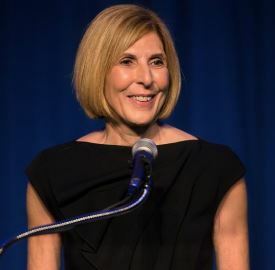 “Educational offerings improve every year, and this year’s lineup hits all topics delegates need to stay relevant in the changing industry,” said ­­­­­­­­­­­­­Carol Dunn of Highwoods and conference co-chair. BOMA Southern Region has provided commercial real estate with a forum to discuss, educate and advocate issues in the southern United States for almost 90 years. With 17 local associations and one state organization represented within the 9 states and 3,000 members, BOMA Southern Region has become a rich tapestry of the history of commercial real estate in the South. BOMA Southern Region welcomes our newest member organization BOMA Northern Alabama, located in Huntsville, Alabama. As one of the most active regions in BOMA International, BOMA Southern Region has utilized its position to provide leadership opportunities to our local members and training to our TOBY winners to improve and capitalize on the abundance of intellectual property that resides in our Southern Region members. Many members have risen to leadership positions in BOMA International, as BOMA International Officers, Chairs of Committees, Task Force Chairs, SIG Chairs and Committee members to support our industry. On the Web at www.bomasrc.org. We’re glad MetWest International was such a great fit for Cooper’s Hawk! As reported in the Tampa Bay Business Journal: Cooper’s Hawk Winery & Restaurant Founder Tim McEnery said he toured several Florida metropolitan areas, including Orlando, Naples and Sarasota, before he selected the MetWest International development. The site was at the top of the list for its visibility, high traffic and proximity to office buildings, retail, hotels and restaurants. Area activity prompts restaurant, retail openings – Tampa Bay Business JournalSubscriber-Only Article Preview | For full site access: Subscribe Now TAMPA – Cooper’s Hawk Winery & Restaurant has made its Tampa debut. The 11,300-square-foot Boy Scout Boulevard location is the first in Florida for the restaurant chain. Cooper’s Hawk opened its first location in Orland Park, Ill., in 2005, following about four years of development. A second location followed in 2007, and the chain has since grown to 12 locations, including Tampa, which opened March 11. Founder Tim McEnery said he toured Florida several metropolitan areas, including Orlando, Naples and Sarasota, before he selected the MetWest International development. The site was at the top of the list for its visibility, … Margaret Cashill’s beats include technology, hospitality, retail and restaurants. It presents an unprecedented opportunity for all size tenants to occupy space in one of the most exciting and rapidly growing areas of the Miami-Dade office market, said Brian Gale of Taylor & Mathis, the exclusive leasing agent. – A multimillion dollar renovation is in the works at 9250 Doral as owner Delma Properties prepares to bring the former single tenant office building to the multi-tenant leasing market. With the largest single block of available office space in the Doral area, the 187,000 square-foot office building is being repositioned as a multi-tenant office building. Brian Gale – Principal Taylor & Mathis discusses the South Florida Office Market with radio talk show host Jim Fried. –Brian is T&M’s senior leasing representative and broker in Florida. Over the last three years, Brian has overseen the signing of deals totaling over 925,000 square feet with a value of over $160 million. He has done three of the eight largest office leases ever in Miami’s Brickell/Downtown submarket totaling almost 300,000 square feet. In 2002 and 2007, Brian was named “Broker of the Year” by BOMA Greater Miami. From 2004-2009, Brian was listed as the Number 1 “Power Broker” for South Florida by CoStar based upon the number of signed leases and total square footage leased.